This year, the College of Engineering at Illinois list of faculty award recipients includes three ECE ILLINOIS faculty members. The winners will be formally recognized in a ceremony in April 2018. These awards were established to honor faculty for outstanding research. Five assistant professors are chosen by their peers based on who has conducted the most outstanding research during the last academic year. In addition, five associate professors are chosen for their outstanding research over the past five academic years. Assistant Professor Can Bayram, one of the honorees this year, joined ECE ILLINOIS in 2014 after earning his PhD from Northwestern University in 2011 and working as a postdoctoral research scientist at IBM's Thomas J. Watson Research Center. 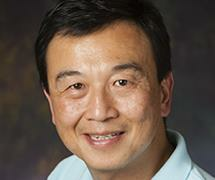 He is affiliated with the Micro and Nanotechnology Lab at Illinois. He has demonstrated the first ultraviolet regime single photon detection, the first hybrid green LED, and the first GaN intersubband devices. At IBM, his novel means of thin film technology achieved record-breaking specific power solar cells and was featured on the cover of Advanced Energy Materials. He invented GaN-on-graphene technology which was published in Nature Communications and was downloaded more than 1,000 times in the first two weeks. This past academic year, he received a prestigious 2017 NSF CAREER Award after proposing an exploration of the fundamental properties of cubic phase light emitting diodes (LEDs) that will provide the critical knowledge required to close the “green gap” in the visible spectrum. In parallel with his research activities, Prof. Bayram’s CAREER Award funding supports his development of a solid-state lighting theme-based interactive outreach program and new curriculum materials for K-12 students, undergraduates, and the secondary teachers involved in the NSF-funded Research Experience for Teachers program on the Illinois campus. 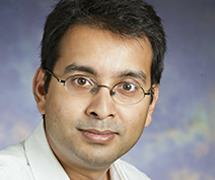 Associate Professor Sayan Mitra is also honored with the Dean's Award this year. He came to ECE ILLINOIS in 2008, and he is affiliated with the department of computer science, the Coordinated Science Lab, and the Information Trust Institute. His research focuses on formal verification for CPS using model-based and data-driven techniques, which is crucial to guaranteeing performance standards. This practical research has been deemed a major step forward in the field and has earned him a great amount of recognition, including the Robert Bosch Sponsored Best Result Award. He is also in charge of developing the estimation and monitoring algorithms on the NSF-funded CPS Frontiers project. The goal of the project is to develop monitoring techniques for detecting attacks and anomalies in complex, distributed manufacturing systems. He is also the PI of another NSF-funded effort, CRI: CyPhyHouse, a laboratory for evolving distributed and mobile cyber-physical systems research. He also co-founded a start-up company, Rational CyPhy, Inc., with Mahesh Viswanathan, associate professor of computer science at Illinois. The company is best known for creating tools that improve the software in autonomous vehicles, which could improve the safety of future freeway driving. This award was established by an anonymous alumnus to recognize good teaching and is intended to foster and reward excellence in undergraduate teaching across the College of Engineering. The recipients of this award are teachers who excel at motivating undergraduate students to learn and to appreciate engineering. Professor Wen-mei Hwu, AMD Jerry Sanders Chair of Electrical and Computer Engineering and CSL researcher, is an internationally renowned researcher with an impressive list of accolades and accomplishments. Even so, some his greatest contributions reside under the umbrella of instruction and mentorship, resulting in being honored with this year's Rose Award for Teaching Excellence. His teaching reputation is widely recognized by the industry. Recruiters from top companies such as HP, Intel, AMD, DEC, and Motorola explicitly ask our students if they have taken the Computer Organization and Design course with Prof. Hwu, a distinct advantage for those who have. In collaboration with David Kirk, NVIDIA's Chief Scientist, he created ECE 498AL: Programming Massively Parallel Processors and published an accompanying textbook (2007). The course became a permanent offering as ECE 408/CS 483/CSE 408: Applied Parallel Programming. He generously made his lecture slides, lecture recordings, laboratory setup, laboratory assignments, and final projects available through his public web site. These materials have since been used by numerous top universities, including MIT, Stanford, Harvard, Michigan, and Georgia Tech, and have been translated into more than four additional languages. But as technology evolved, Prof. Hwu knew that the course needed to evolve as well. He again partnered with NVIDIA, specifically Boris Ginsburg, lead developer of the NVIDIA CUDA Deep Neural Network library. The third edition of the textbook (December 2016) now includes parallel computation methods for machine learning, the first detailed disclosure of these methods. To tackle another issue of scale, he developed and implemented RAI, a cloud-based project development infrastructure. Students now download an RAI client which supports full application development on a variety of operating systems. Not only does this provide a better computing environment for students, but the cloud allows for flexibility and scale depending on classroom size and demand. Prof. Hwu and his graduate students published their innovative RAI design and implementation findings at the 2017 NSF/TCPP Workshop on Parallel and Distributed Computing Education (EduPar).